Perhaps you did not know this was taking place here in the UK. 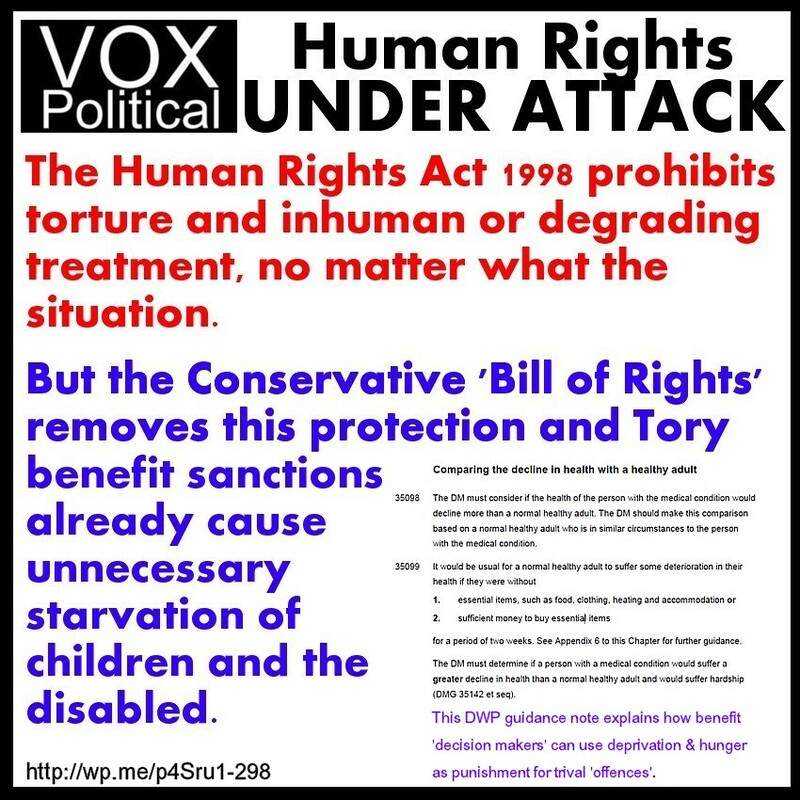 The Conservatives are already breaking the Human Rights Act by inflicting inhuman and degrading punishments on benefit claimants – some of whom have died as a result. When they bring in their ‘Bill of Rights’, the legal protection against this treatment will be removed altogether and there will be nothing to stop them expanding it to other areas of society. defending human rights in the UK. Where was the protections for all of the people who have died already? I can’t see that the human rights act has done anything anyway, so what’s the point? It might just mean that they can kill us quicker!!! No good trying to reason with sheep,they only complain when it starts to affect them…. That is what I am discovering. Mike, have you seen this?